Happy New Year to all my followers. 2015 and it’s back to work on the book with just 3 months to submission deadline! This coming week I will be carrying out more research both at the Eastern Daily Press archives and also visiting the current President of Norwich Lions Club. He has known Joe for over forty years so I am looking forward to some as yet unheard anecdotal stories about Joe being a District Governor with the Lions and his fifty years of service. 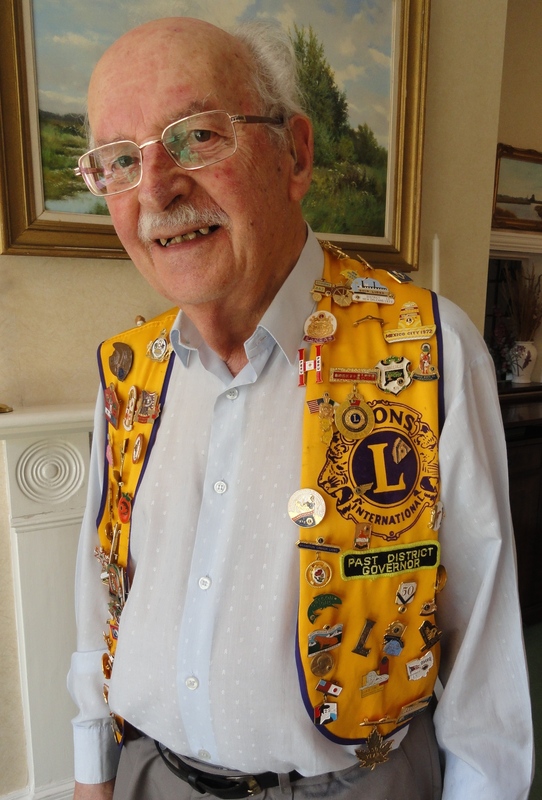 This photo shows Joe two years ago showing me his Lions vest with the many pin badges he has collected from Lions Clubs all over the world. He is very proud of it!